What is Kauai Grown? The Kauai Grown program promotes our locally grown agricultural products and recognizes the farmers, ranchers, retailers, and restaurants that bring these products to the consumer. Our goal is to help identify Kauai Grown products and experiences, and to capture what makes these products and experiences special – the people and fresh ingredients behind the products, and the diverse choices that are unique to Kauai. Share your home cooked favorites using Kauai Grown ingredients! From party pupus, stuffings and sides, to main dishes, holiday cookies, and seasonal desserts there are so many delicious ways to ring in the holiday season with farm fresh ingredients from the Garden Island. Ingredients can include both fresh farm ingredients, as well as processed ingredients (honey, coffee, goat cheese, jams, etc) that are at least 50% Kauai Grown. Recipes will be shared online, in print and at Kauai Grown events islandwide! Questions? Please contact us at info@kauaigrown.org or 855-5429. 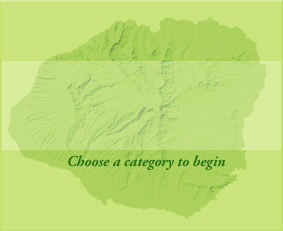 Submit your Kauai Grown Recipe Online! Please include my name when this recipe is published. I do not want to include my name. Please publish this anonymously. Please include no more than 64 characters. Description: Why you like the recipe, where it came from, tips for preparation, special notes, etc. Please highlight which Kauai Grown ingredients are featured in this dish. Ingredients: Please list each ingredient on a separate line. Preparation: Separate steps using numbered paragraphs (hit the "enter" key).